Be spellbound by Dr Tim O’Brien of the University of Manchester’s Jodrell Bank Centre for Astrophysics. Join the award winning astronomer for an engaging talk on astronomy and the night sky, plus you’ll get the chance to ask him all your unanswered questions. Suitable for keen astronomers and those with a general interest in dark skies. This event is taking place as part of the National Parks Dark Skies Festival 2019. 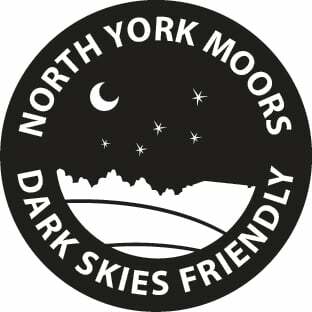 This event is being organised by North York Moors National Park who should be contacted if you have any queries. We highly recommend you confirm this event is indeed going ahead before travelling. If you do attend it would be fantastic if you could let the organiser know you found them via Go Stargazing! Please contact North York Moors National Park directly for more details regarding this event or, if appropriate, contact the event venue. The below graphic shows if and when it will be dark at Castle Howard Estate on the evening of this event. Yellow areas show when the skies are not dark due to daylight (bold yellow) and moonlight (faded yellow). Click on the image for an explanation on how darkness is determined.